After reception and welcome drink we take you to the Hotel for some rest. In evening we take you to 84 Chaurasi ancient Temples for evening Aarti then back to hotel for dinner and night stay. Early in the morning after breakfast troop will move through village and climb through dense forest toward a nallah and gives feeling like a way to heaven. After a Short run one hour of straightway troop will reach at nallah and Goth. Rest for half hour troop will move and climb through the rocks and will reach at Budau Naag temple. 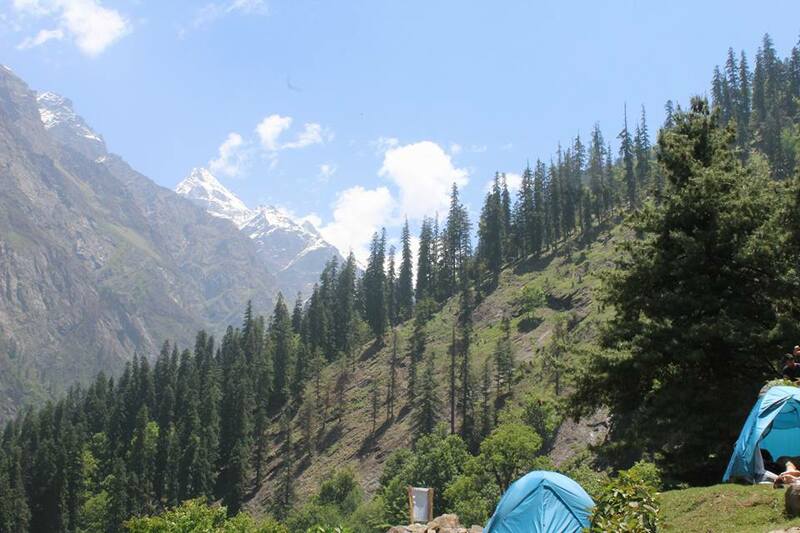 Rest a while then climb through a beautiful ground and will reach at Bottom of kali Kund known as Alyas or base camp. Alyas a run of 1 – 2 hours from Budau Naag. 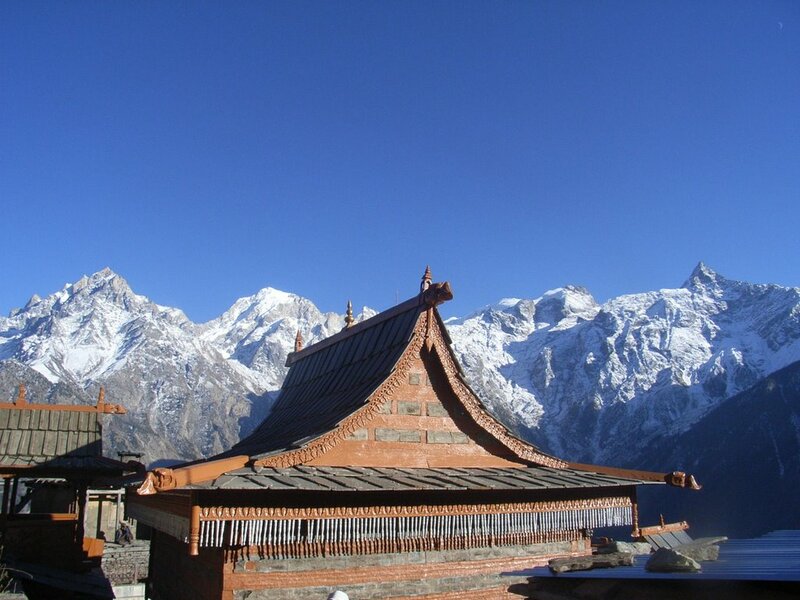 Acclimatize your body and brain for next day journey which will be full of joy and adventure. Overnight stay in camp at Alyas. 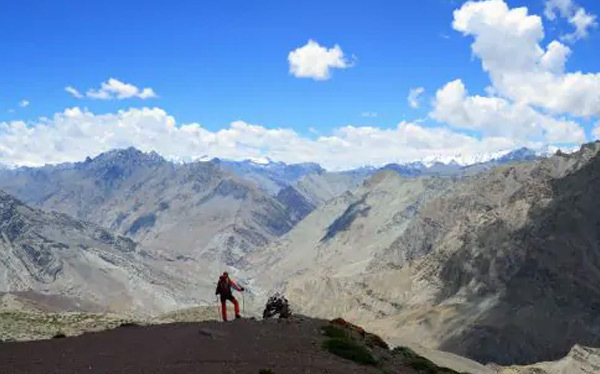 Alyas – Gujj Pass – Alyas 12 Km trek is totally depending upon the weather and physi cal condition of trekker. Generally Travelling Guide will not take the risk or allow crossing the passes in bad weather conditions and will wait for clearing the sky. If sun shine then after taking light breakfast and packed lunch start moving ahead very early in the morning around 6:00 am to ensure that the snow is frozen for easier walking and if fails to cross the pass before 12 – 1:00 pm otherwise will create big problem as heavy snow winds, rainfall even snow fall can be happen. So early in the morning after Light breakfast troop will move ahead for their adventurous and joyful day. After starting moving ahead shortly will reach at lake know as Kali Kund. Climb through snow and ridge will reach at the top of lamb Dall and after going downward carefully will reach at lamb Dall. There is three more lake will come in the way but take more time if want to visit. These all lakes are considered as sacred many devotees from Chamba and Kangra comes here to take holy dip in these lakes. After reaching at Lamb Dal go through Bhim Gasutri and reach at Lahesh caves. It is a climb of three hrs from Lamb Dal to Lahesh Caves. Overnight stay will be in caves. Triund is a small and beautiful destination in the Himalaya and is situated 9 kms from Bhagsu Nag which is now very famous among foreigner tourist as a trekking paradise. Triund is name of a ridge in Dhauladhar Himalayas and it shows very close look for Moon peak-Inderhar Pass. After taking breakfast around 8:00 Am 9kms trail will start toward Triund. The trail goes generally through Oak and conifer forest and across the open meadows to the encampment at Laka Got. After a trek of 5-6 hrs will reach at Triund. Spend the left day at Triund and enjoy the beauty of nature and natural resources. The dinner and overnight stay will be provided in tents at Triund. Early in the morning move ahead toward Mecleodgunj through small village Dharamkot. After a trek of 10 km in 3-4 hrs will reach at Mecleodgunj last destination of the trek and will take unforgettable lunch at Mecleodgunj with Anna Adventures & Tour’s outdoor team. 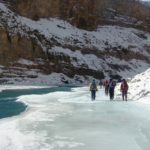 Our outdoor team will depart the troop here with good wishes and with hopes to visit again and again for more trekking in unexplored Himalaya.